Our elegant and well-equipped function rooms are the perfect venues for successful business meetings and private events. 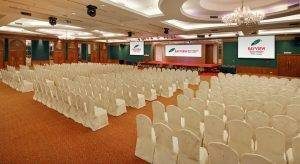 The Grand Ballroom is the largest meeting and event space in Batu Ferringhi and the ideal setting for a truly memorable wedding. We also offer two more intimate ballrooms and additional rooms for smaller events.